The OnePlus6 has been around only for a few weeks, and it is selling like hot cakes. It is one of the best Android phones you can buy right now. I have tried it first-hand. I can tell you from experience that it’s insanely fast, and its camera is much better than my OnePlus 5. While consumers are busy grabbing the shiny new OnePlus 6, the Chinese company has already started working on the next year’s OnePlus 7. Speaking at the Mobile World Congress in Shanghai, OnePlus CEO Pete Lau said the company was working with an unnamed US wireless carrier to launch a 5G smartphone next year. Though Lau didn’t name the device, he was most likely referring to the 2019 flagship OnePlus 7. In fact, the next-gen OnePlus device could be among the first phones to get 5G support, thanks to the company’s strong relations with Qualcomm. A gorgeous-looking and incredibly powerful smartphone with 5G technology is what buyers would want in 2019. According to PhoneArena, 5G services will start rolling out in the US and many other countries early next year. Samsung, Huawei, Oppo, Vivo, and many other vendors are also in the race to introduce 5G smartphones as early as next year. Samsung’s 2019 flagship Galaxy S10 is said to support 5G technology. It’s worth pointing out that whether or not the phones will be able to take advantage of 5G will depend on carrier support. The 5G rollout will begin in 2019, which means the initial coverage will be limited. The United States is a tough market to crack for Chinese smartphone vendors. Unlike in China, India and many other markets, about 90% smartphones in the US are sold through wireless carriers. Until now, no Chinese vendor has been successful in striking a deal with the US carriers. Huawei has been trying to persuade the American carriers for years, but with little success. Huawei, OnePlus and other Chinese vendors currently sell the SIM-free variant of their phones in the US online and through retail stores, which means they have limited visibility. 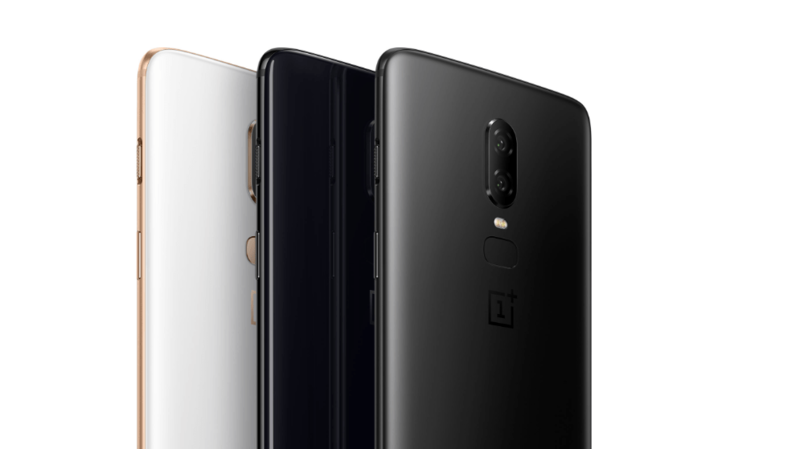 It looks like OnePlus could strike a deal with an unnamed US carrier in time for the OnePlus 7 launch. The potential carrier partnership will help OnePlus expand its footprint in one of the world’s largest markets. Pete Lau said at the MWC Shanghai that OnePlus was in advanced talks with US carriers to be part of their 5G launch. Even if the company starts selling through carriers, its devices will not have any carrier bloatware, Lau assured fans. OnePlus has also promised users to provide Android updates for two years following the launch of a phone. Android bug fixes and security patches will also be rolled out every two months. OnePlus traditionally refreshes its flagship model in May or June. The latest OnePlus 6 debuted on May 16 and hit the store shelves on May 22nd. We expect the OnePlus 7 to be unveiled sometime in May or June next year to coincide with 5G technology rollout in the US. It is unclear whether OnePlus will release a OnePlus 6T towards the end of this year. The company hasn’t officially confirmed its existence, but it had launched the ‘T’ variants of OnePlus 5 and OnePlus 3. Lately, a video has been circulating on the Internet showing a OnePlus 6T concept render with a pop-up camera. The rumors about OnePlus 6T should be taken with a pinch of salt at this point. In terms of specs, we expect the OnePlus 7 to run Qualcomm’s next-gen Snapdragon 855 processor. OnePlus has always used the most powerful processor at disposal in its flagship models. Other expected features include an in-display fingerprint sensor. Vivo, which is owned by OnePlus’s parent company BBK Electronics, has already introduced a phone with an optical fingerprint solution. Samsung’s next-gen Galaxy S10 is also rumored to place the fingerprint reader under the OLED display.